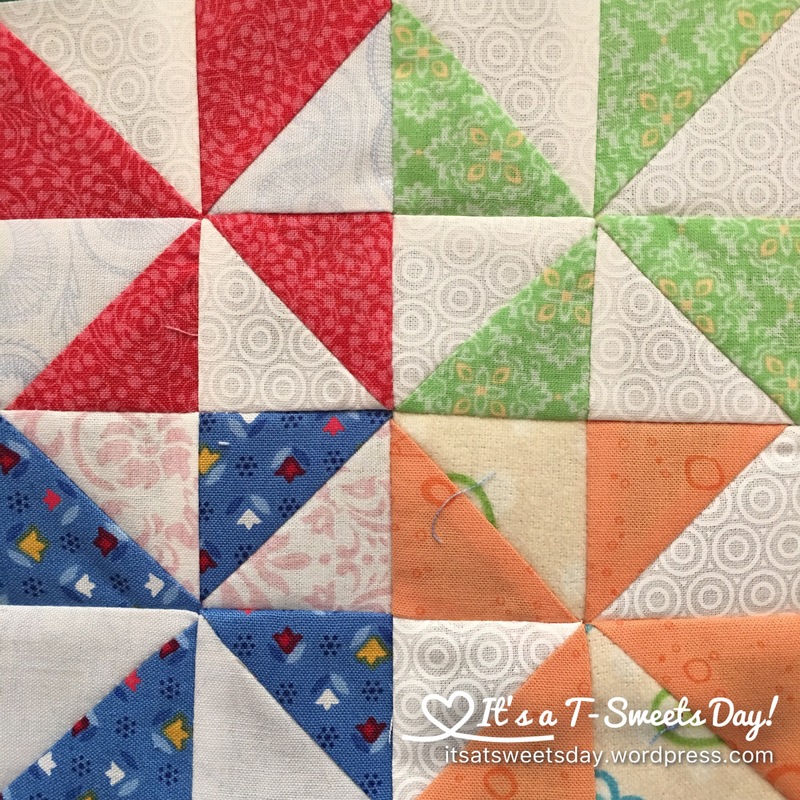 Dear Daughter- Chapter 4 – It's a T-Sweets day! 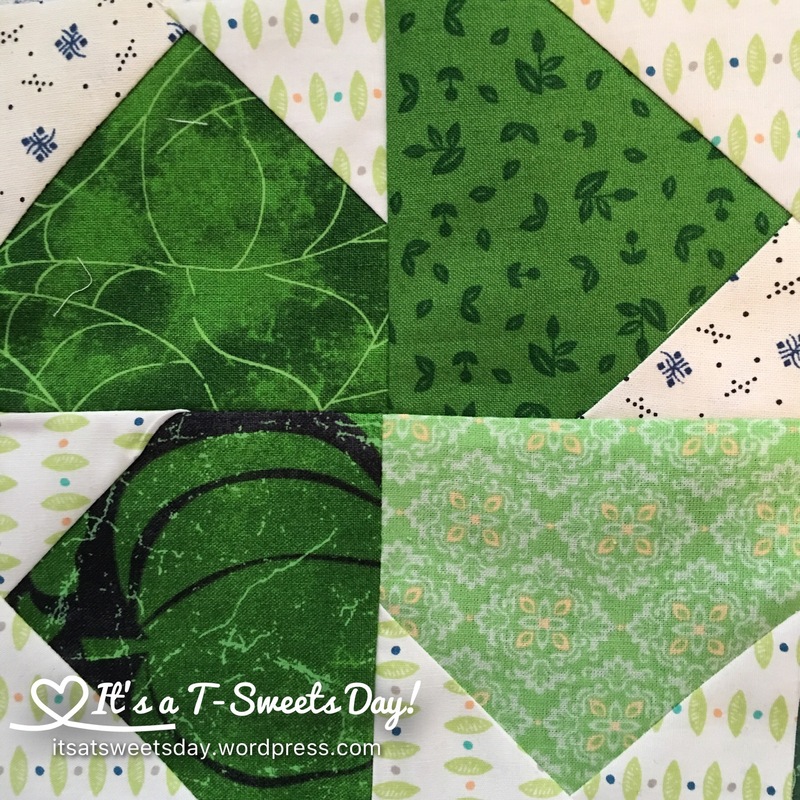 Published on June 29, 2016 June 29, 2016 by Tracy @ It's a T-Sweets Day! 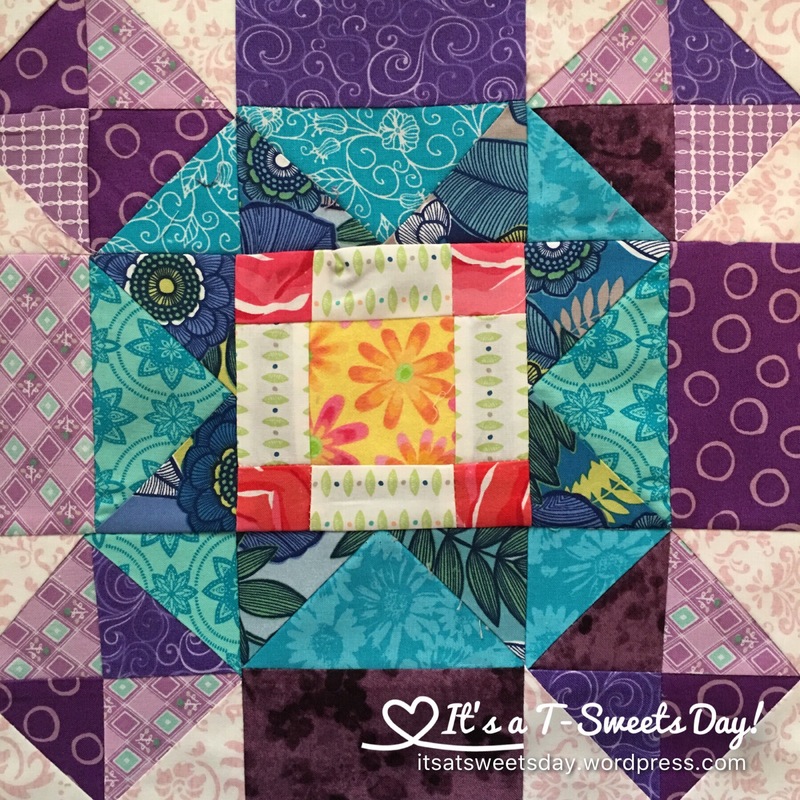 Each chapter of this quilt gets more and more exciting! 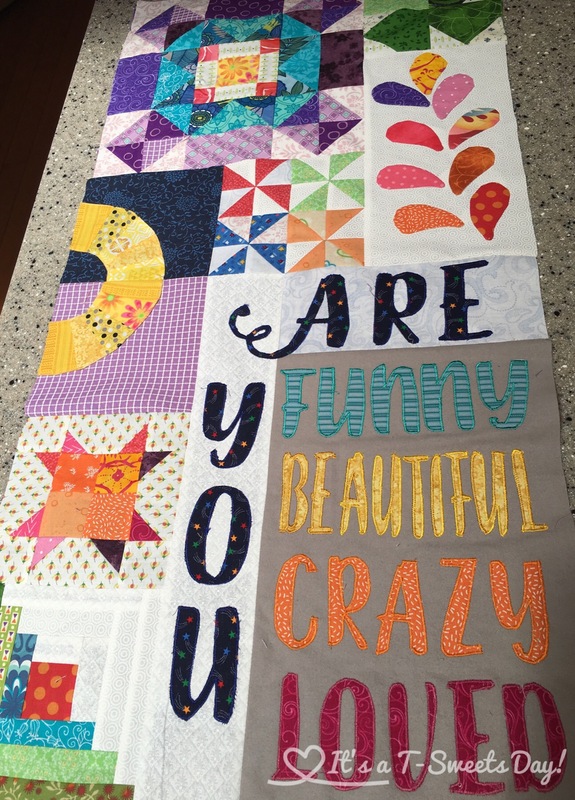 Sherrie from rebeccamaedesigns.com has really done a great job with this fun pattern:). I look forward to making each wild and crazy block. The instructions are so clear and the pictures are inspiring. There is a new chapter each month, and as you can see, I am behind. BUT I am catching up and LOVING it!! There were quite a few more elements to this chapter, so it took a bit longer to complete. It was so worth it though. all put together so far–looking AWESOME!! 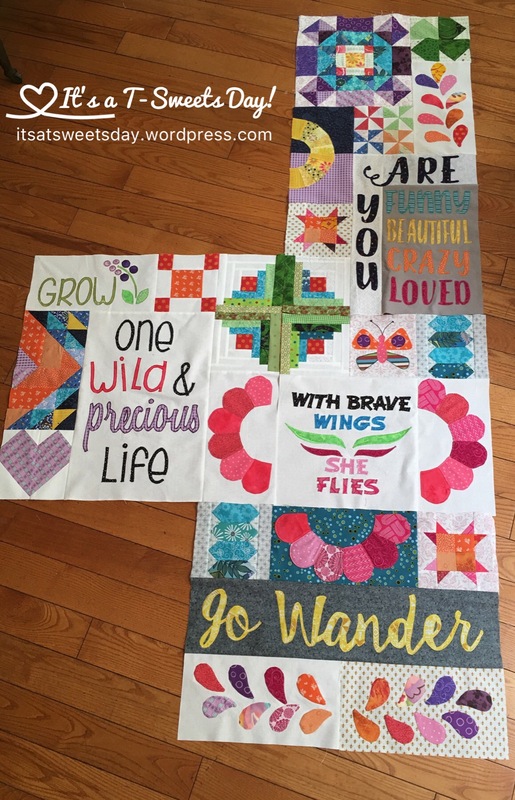 Fabulous celebration quilt – what a wonderful gift. Thank you! It sure is a fun one:). 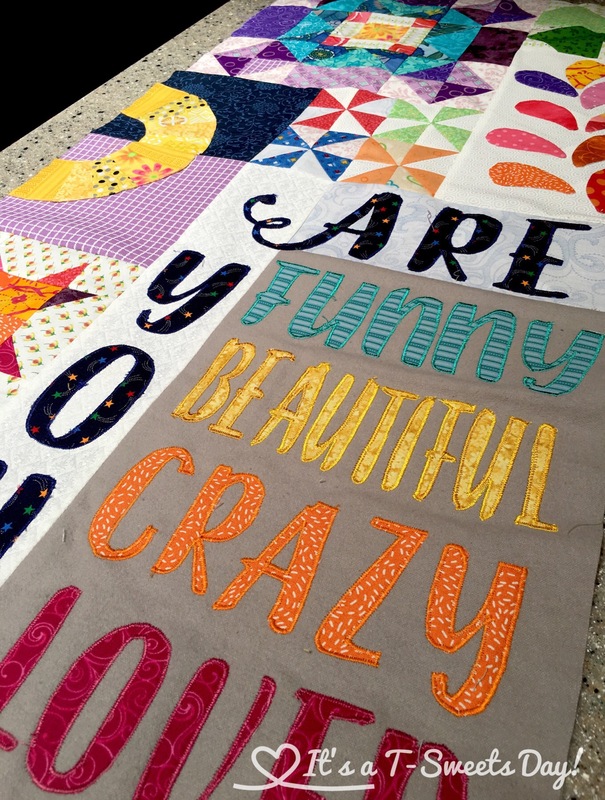 It appears quilting and crocheting for others is what we do!